I have pulled on a few tarpon and bonefish but I am a complete neophyte to the realm of fly fishing for sailfish. So please don’t take this text as gospel. It is merely my interpretation of a single trip. Nevertheless, I hope it gives prospective sailfish anglers a real glimpse into what it might be like. I also hope it inspires a few people to try catching a sailfish on a fly. I have wanted to catch a sailfish on the fly for almost 12 years now. Ever since I started looking into possible destinations, an overwhelming amount of info pointed to Guatemala as a reasonably accessible place to go. Unfortunately, most of the outfitters there tend to be very expensive for a single angler without a few friends sharing the same addiction. 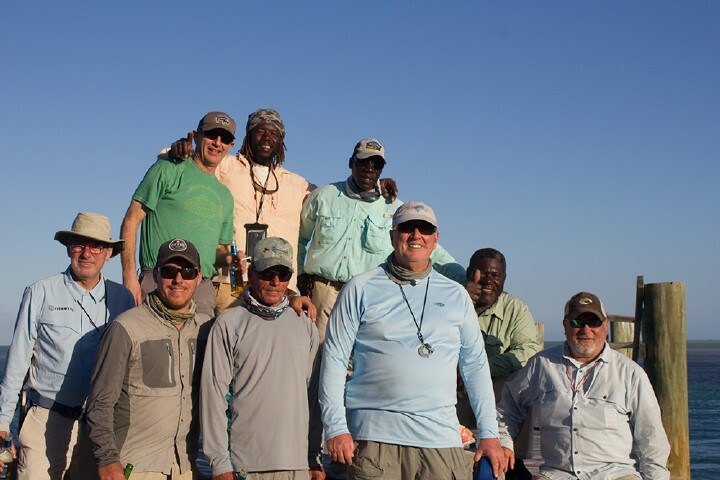 Then along came Blue Bayou Lodge, an operation that specializes in catching sailfish out of Iztapa, Guatemala. They were looking to fill some boats during the off-season in Guatemala and offered me a very attractive price point on a 3 day trip. I did some research and concluded that the off season in Guatemala is likely to be as good as most other places during peak season. I also did some research and found that Blue Bayou Lodge was a very reliable operator. So, in the latter part of August, I was on the Sails Pitch, a 28 foot Abermarle with twin turbo diesels, captained by Chris Starr, owner of Blue Bayou Lodge. How often do you get to fish with the lodge owner? 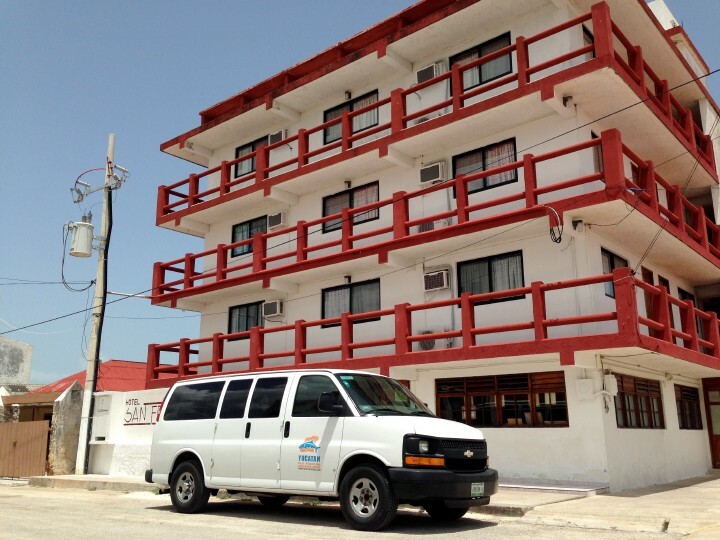 Chris came to Guatemala via the fishing hotbeds of northern Michigan and Ocean City, Marlyand. Although it had been pouring rain on the mainland the night before, it was mostly sunny over the ocean. We were heading 40 miles off the coast – almost a two hour trip – looking to get past the green water into the blue water. I was busy taking pictures of almost everything in the boat. It was so different from a flats skiff; I found it completely fascinating. The mates were Vince and Danny, local guys with plenty of experience and highly regarded by Chris. Although their English was limited, they could communicate just anything about fishing for sailfish. Both were sewing frozen ballyhoo into the rubber skirts of hookless teasers. Imagine a tube jig for bass on steroids – lots of steroids – and then you have a sailfish teaser. As the boat raced up and down the gentle swells, it took all my concentration just to stand without hanging onto something. But Vince and Danny scampered all over the deck and wielded teasers, ballyhoo, lines, needles, and knives like a cross between gyro-stabilized acrobats and surgeons. Eventually, the engines throttled down and we were fishing! A line hung from the end of the each outrigger, each pulling a teaser about 75 feet behind the boat. A flat line kept a third teaser maybe 50 feet back. The last line was deployed about halfway up the left outrigger; its “daisy chain” of four plastic squid ran perhaps 25 feet off the stern. Lastly, there was the pitch bait – a plain, hookless ballyhoo on the end of a spin rod. If a sailfish ever lost interest in the teasers and the fly, the pitch bait would get tossed and hopefully entice it back. With the fish in pursuit, one mate would skip in the teaser while the other mate cleared the remaining lines. When the teaser closed in on the stern and got yanked from the water, Chris would pop the boat into neutral, and I would cast behind the fish. Then give the fly a couple pops to get its attention. The theory was that the sail – enraged that a possible meal had just vanished – would swivel around to look for it and absolutely crush the fly. Casting behind the fish would force it to take the fly going away from the boat and help ensure that the hook catches in the soft tissue in the corner of its mouth. To help facilitate that all important hook set, Chris would yell “Sweep left!” or “Sweep right!” depending on which way the fish took off. Then I would smartly sweep the rod low to the water in the required direction. 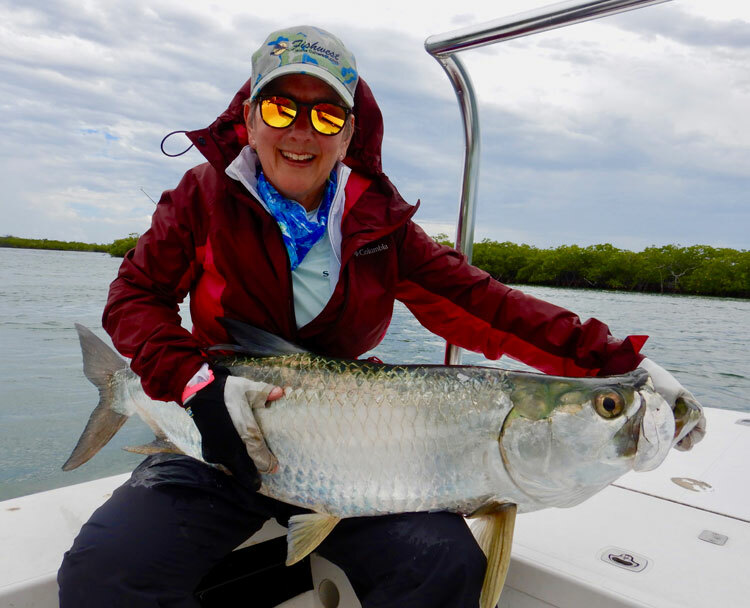 Apparently, tarpon anglers could leave the strip strike on the flats. I thought about the 20 foot cast I’d have to make. I really liked the idea that there wouldn’t be 60 feet of fly line loosely coiled at my feet. How many times had I stepped on those coils while bonefishing? It would be a non-issue out here in the blue water. Even though I was optimistic about my chances to pull it off, I took about 50 practice casts. A 700 grain line is like a 30 foot long lead jig and a typical sailfish fly has the aerodynamics qualities of a chipmunk. (That’s on a calm day. If the wind is blowing, it’s more like a squirrel.). I also had to make sure that my back cast slid underneath the right outrigger line, which rarely got cleared. So, I put in my practice reps. Eventually, I set my rod down alongside the gunwhale, took a chair, and waited. Even though we were 40 miles out, the sea was incredibly calm. There was a gentle swell that ranged up to 4 feet high but the waves were so gradual it was almost impossible to notice. My local crappie lake is generally more choppy. The morning was super slow and I watched the teasers skip along behind us. Finally, around 10:30 AM, Chris yelled, “Left rigger! Left rigger!” Everything went off like clockwork. This was it! All the time I had spent dreaming about catching a sailfish. It was finally going to happen! Maybe… If I could make the cast. Despite the adrenaline factory inside me, I managed to slap the fly down behind the fish. I stripped madly. Once. Twice. Three times. Four times. “Gone,” said Chris. “Just kept going underneath the boat when the teaser got yanked.” All the lines went back out and we started trolling again. It wasn’t long before the scenario repeated. 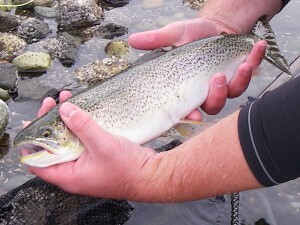 Again, the teaser came flying out of the water and my fly smacked down behind the fish. Despite my adrenaline saturation, I clearly saw the sailfish pause and turn. I could almost sense its frustration. It accelerated into the fly and kept accelerating. “Sweep left! Sweep left!” cried Chris. I swept left and hung on. “Surgical!” chortled Chris as the line smoked off my reel. Rarely could my second cast in a new fishery be called surgical. I probably would have felt smug but I was mesmerized by the sheer speed and power of the beast attached to my line. It ran off a 100 yards of backing, jumping and tailwalking as it went. I think I missed half of the aerial display because I didn’t take my eyes off my line disappearing into the water. Nevertheless, something made me look up and catch at least a bit of the action. As it sulked in the deeper water, the boat backed down. And I reeled like crazy, wearing a little groove in the finger guiding line onto the reel. It seemed like hours, but eventually the fly line came into view. And so did the sailfish, with a brief flurry of surface action. It was lit up with bright, silvered flanks. Its huge dorsal fin held splotches of neon purple. Soon after, Vince had the fish expertly by the bill and eased it into the boat. It was probably routine for him, but it was a milestone for me. I finally got to sit with on the transom of a sportfishing boat with a sailfish on my lap and grin – a very genuine, happy grin – for the camera. Once out of the water, the sail took on more coppery hues, but it was still handsome. Chris called it an even 80 pounds, my biggest fish on a fly rod. Nobody ever mentions how much slime a sailfish carries around. Having one sit on your lap for a quick photo-op leaves you completely coated! Nevertheless, it was well worth it. I was incredibly impressed by the efficiency of Vince and Danny as we photographed the sail. It was a perfectly choreographed operation that got the fish in the water and back on its way as quickly and as gently as possible. So, less than a minute after landing the sail, I gave it a “Thank you” slap on the back as it swam off. After that it was time for lunch; I was pleasantly surprised by the fish tacos that Vince grilled up on a small camp stove. The rest of day was pretty solid action. About eight fish came into the spread and three of those decisively attacked the fly. But my end results were more typical of my first day in any first fishery: Angler getting the fly in the right place but not stripping hard enough… Sweeping left instead of right… Pulling fly out of mouth with ill-timed strip. Sailfish losing interest in teaser before getting close to boat… Sailfish torpedoing under boat without stopping. Each bit of advice ended with an intense practice session. I would put in about 20 or 30 reps of whatever Chris had recommended. When the teasers were reeled in and the boat pointed back to port, I was one happy fisherman – happy I’d caught a sailfish on the fly and happy that I was well-prepped to do the same tomorrow.